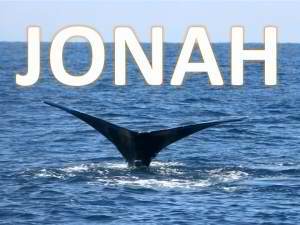 Has Jonah finally gotten it when it comes to what God is asking him to do? He ran away from God’s mission to go to Nineveh. He encountered a terrible storm at sea and was saved by a great fish. Then, after three days, the fish vomited Jonah up on the beach near Nineveh. God gives him the command – the mission – again. Go and take the message to Nineveh. Jonah sets off for the city and you would have to think that, at this point, he’s going to be a pretty scary messenger. He’s spent three days inside the belly of a fish. He has to smell funny and people have to be giving him some strange looks. It would take Jonah three days to walk across the entirety of Nineveh. Instead, he walks one day into the city and delivers one of the shortest recorded sermons in history. “In 40 days, Nineveh’s going down.” A sermon like that would fail in the proclamation committee of the Board of Ordained Ministry. In that short sermon, God shows us something powerful about sermons. It’s not about the words – it’s about the God who works in them and through them. People start to listen and to believe and they start to repent. They go into mourning. By this point, things are starting to look much brighter for Nineveh. Jonah has followed through and delivered the message. The people are listening. Prayer: God, help us as we deliver your message of love to the world. Help us to realize that you speak in and through our words and actions. Help us God to hear your voice. In Jesus name, Amen. Jonah 3:1-3: Getting a second chance.